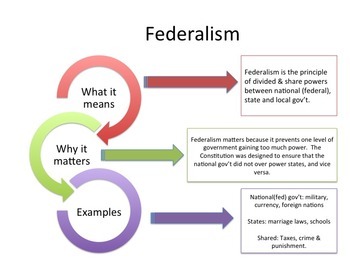 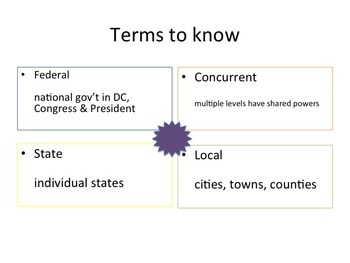 Complete lesson on the principle of federalism for unit on the U.S. Constitution. 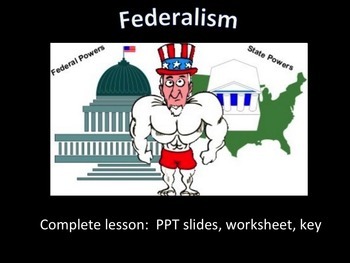 Lesson includes five PPT slides (with definition of principle, examples and terms to know), one worksheet with modern day examples. 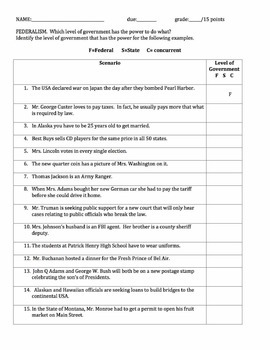 Learning objective, key & instructions provided.